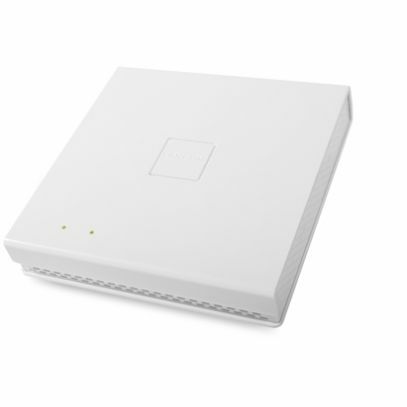 The LANCOM LN-830E Wireless is a powerful 11ac WLAN enterprise-class access point. It provides fast WLAN to 11n clients in the 2.4-GHz frequency band and also to the increasing number of modern 11ac-enabled devices in the 5-GHz band. In addition to that, the access point supports the wireless update of radio-controlled, battery-powered ePaper displays and iBeacon technology in an interference-free, parallel operation. Thanks to its puristic and elegant design it is ideal for an inconspicuous application in modern environments.